Turkey vests are precious things. 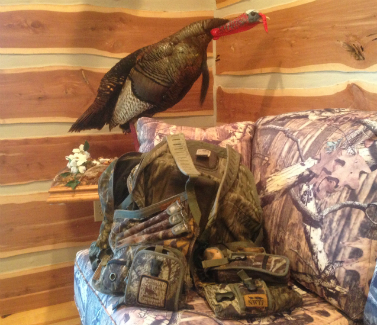 As the season draws near, just glimpsing at them sitting in the corner brings back memories of past hunts in which they accompanied us into the woods. They are truly a companion for us, and start the season weighing more than an Airbus and end the season light as a feather. But because gear is important, we pack their pockets to the seams and have indentions of their straps in our shoulders for months after the season.